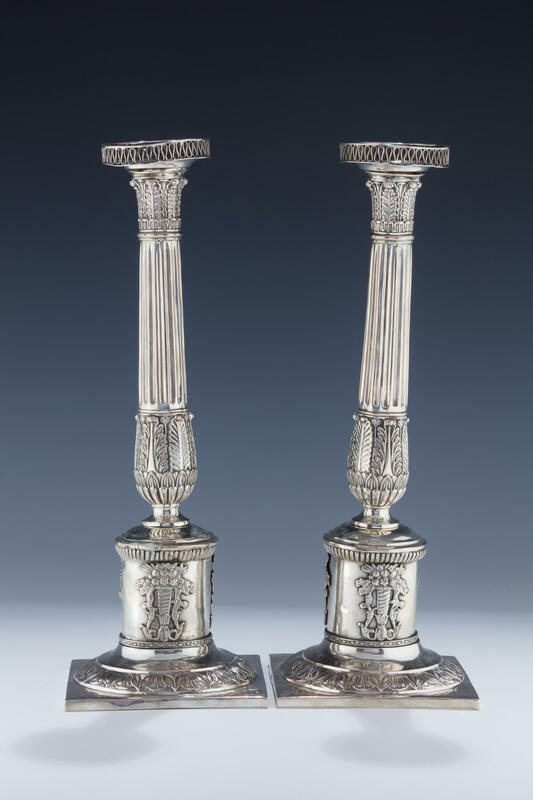 A PAIR OF LARGE SILVER CANDLESTICKS. Poland or Germany, c. 1800. On flat bases decorated with chased and applied designs. Constructed in Corinthian style columns and filigree bobeches. Marked 12, assay scrap and lion. 14” tall.